Dr. Abrams is presently the Senior Director, New Ventures and Business Development in Temple University’s Office of the Vice Provost for Research. His principal responsibilities are to help place new technologies on the critical path for commercial development and shape teams to establish new ventures to implement the plan. Prior to joining Temple Todd was Manager of JT ABRAMS CONSULTING where he supported institutions in our region to develop new approaches to support emerging technologies, as well as advising early stage technologies on how to access those new resources. Prior to consulting, Dr. Abrams Served as Director, Philanthropy and Business Development at the Lankenau Institute for Medical Research (LIMR) in Wynnewood PA, a position in which he expanded his interest in advancing early stage technologies. Among other responsibilities he oversaw LIMR’s technology development initiative, including its biotechnology incubator, technology transfer office, and philanthropy efforts. Before joining LIMR, Dr. Abrams was Executive Director, New Product Development at Meniscus Limited, a medical education and publishing company. He received a BA in biology from Lafayette College in Easton, PA, and his Ph.D. in immunology from the University of Pennsylvania. After receiving his Ph.D., Dr. Abrams spent over a decade performing cancer research, with positions at The Wistar Institute, the University of Miami School of Medicine, and Allegheny University of the Health Sciences now Drexel’s School of Medicine. Dr. Abrams also served as President, Foundation for Research Into Diseases of Aging (FRIDA) and Chaired the All Partners Committee of BioLaunch 611 + Keystone Innovation Zone. 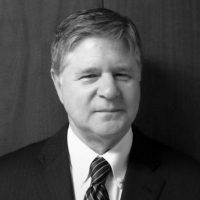 He previously served on the Board of Directors of BioStrategy Partners, and also is President of Intracell, LLC, which holds patents for the diagnosis and treatment of Alzheimer’s disease.